Yellow baby hat with leaves, organic knotted hat, mustard yellow knot hat. Monstera leaves. Knotted hat, cotton baby hat, newborn hat. This cute baby knot hat will keep your little one's ears nice and warm. 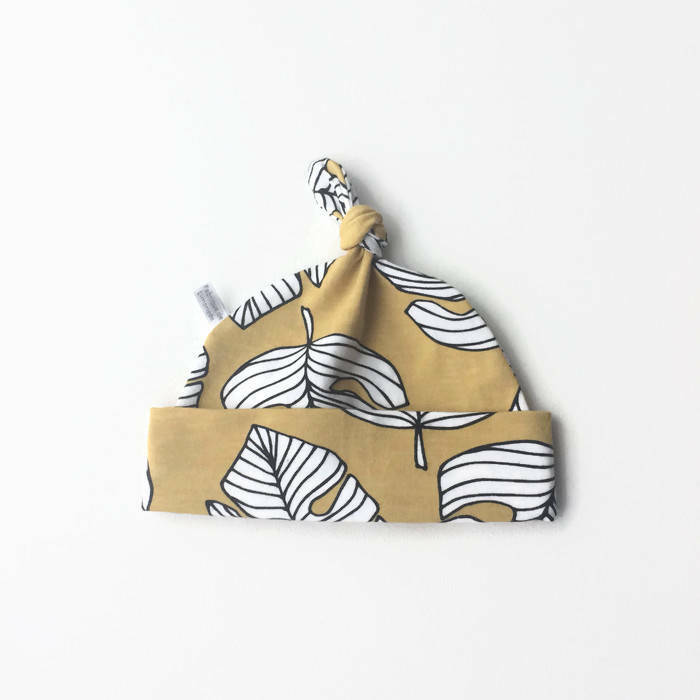 Each hat is made from yellow organic cotton jersey knit fabric with monstera leaves. The fold over band keeps it comfortably in place while being soft and gentle.